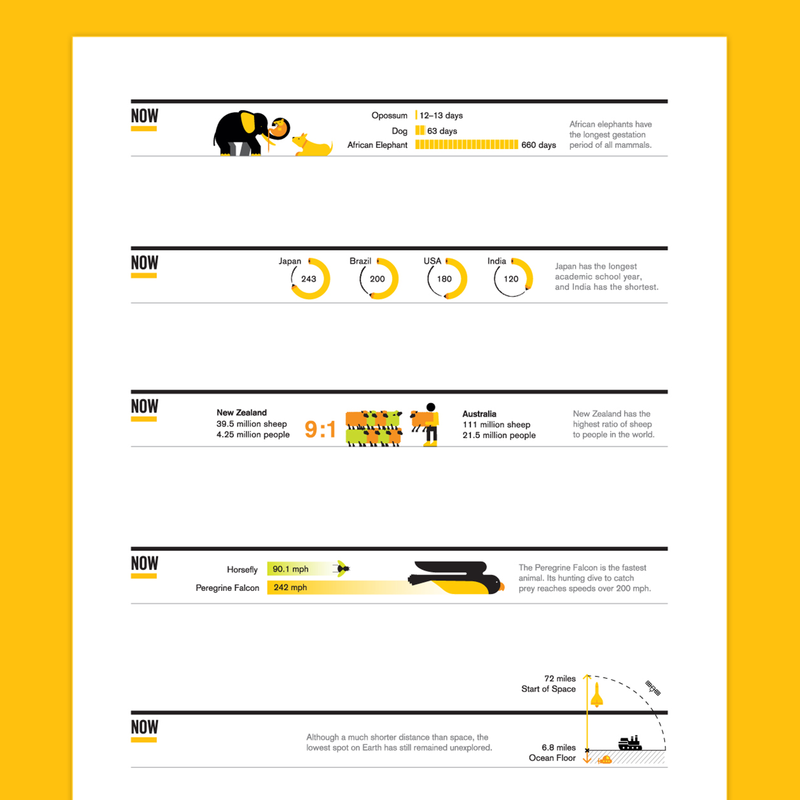 Early this year, National Geographic approached KMIP to create a set of miniature infographics for sprinkling throughout the front-of-book segments of the magazine. Sign us up! Even more fun? In addition to creating the illustrations, we were also charged with coming up with the concepts for these bite-size graphics.Aiming for a set of simple visuals that could communicate nuggets of content in an eye-catching way from the margins of the page, we submitted 50+ ideas from which National Geographic selected a handful for development and design. Grab the September issue for a closer peek at two of our designs in action! For an in-depth look, check out our full case study.